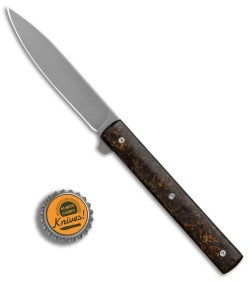 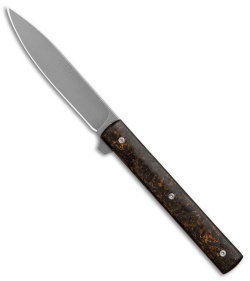 This Fruit Knife features a stonewashed drop point blade with a flipper opener. 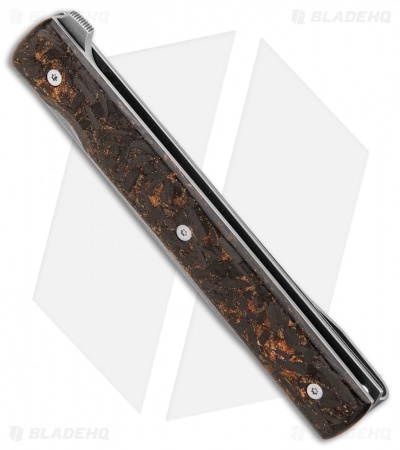 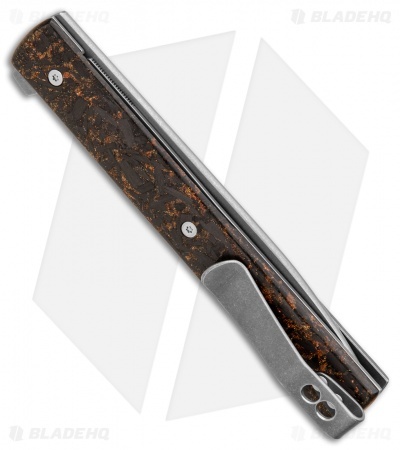 The titanium liner lock handle is outfitted with unique copper shred CF scales. The pocket clip is titanium as well with a bead blasted stonewash finish. This knife is beautiful, lightweight, and sleek.